Take in the views from a rooftop terrace and a garden and make use of amenities such as complimentary wireless Internet access. This farm stay also features concierge services and babysitting/childcare (surcharge). With a stay at Lake Garda Hostel in Salo, you'll be near the bay, just a 1-minute walk from Parco Alto Garda Bresciano and 14 minutes by foot from Museo di Salò. This hostel is 17.5 mi (28.1 km) from Scaliger Castle and 22 mi (35.5 km) from Lake Idro. Take advantage of recreation opportunities such as a seasonal outdoor pool or take in the view from a terrace and a garden. Additional amenities at this farm stay include complimentary wireless Internet access and tour/ticket assistance. Getting to nearby attractions is a breeze with the area shuttle (surcharge). 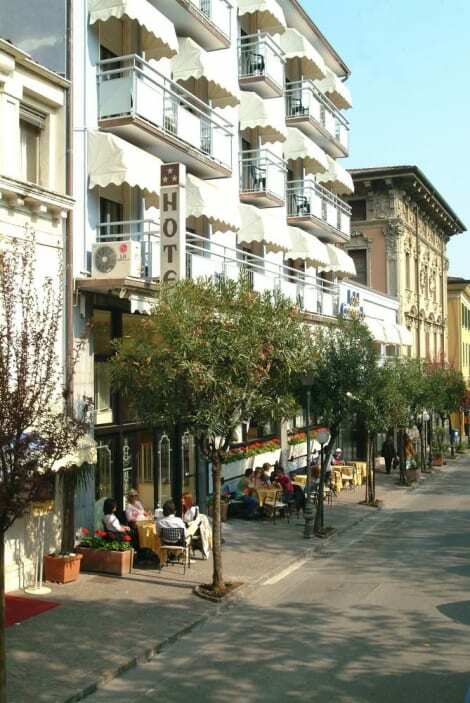 A stay at Hotel Ristorante Commercio places you in the heart of Salo, steps from Parco Alto Garda Bresciano and 4 minutes by foot from Museo di Salò. This hotel is 18.4 mi (29.7 km) from Scaliger Castle and 19.9 mi (32 km) from Lake Idro. Enjoy Italian cuisine at LOCANDA DEL BENACO, a restaurant where you can enjoy drinks at the bar and dine alfresco. Or stay in and take advantage of the room service (during limited hours). A complimentary buffet breakfast is included. Enjoy recreation amenities such as an outdoor pool or take in the view from a garden. This hotel also features complimentary wireless Internet access and a television in a common area. Getting to nearby attractions is a breeze with the area shuttle (surcharge). At Villa Arcadio Hotel & Resort, enjoy a satisfying meal at the restaurant. Relax with your favorite drink at the bar/lounge or the poolside bar. A complimentary buffet breakfast is served daily from 7:30 AM to 10:30 AM. lastminute.com has a fantastic range of hotels in Salo, with everything from cheap hotels to luxurious five star accommodation available. We like to live up to our last minute name so remember you can book any one of our excellent Salo hotels up until midnight and stay the same night.